ACUE was honored to welcome Tom Angelo back to discuss the latest research in effective teaching practices. Dr. Angelo, an expert on student assessment, has been featured before in ACUE’s modules on assessment and learning outcomes. He came back last week for another round of interviews with ACUE, discussing the best ways to provide useful feedback and the importance of aligning coursework to course outcomes. In addition, Dr. Angelo talked about how we can best support faculty in their ongoing efforts to improve their professional and instructional practice. Dr. Angelo is a clinical professor of Educational Innovation and Research in the Division of Practice Advancement and Clinical Education, as well as the director of Educator Development for The Academy at the University of North Carolina Eshelman School of Pharmacy. In addition to developing workshops and consulting on course design to support the school’s innovative new PharmD curriculum, Dr. Angelo also collaborates on educational research and assessment projects and mentors junior faculty, postdoctoral fellows, graduate and professional students. 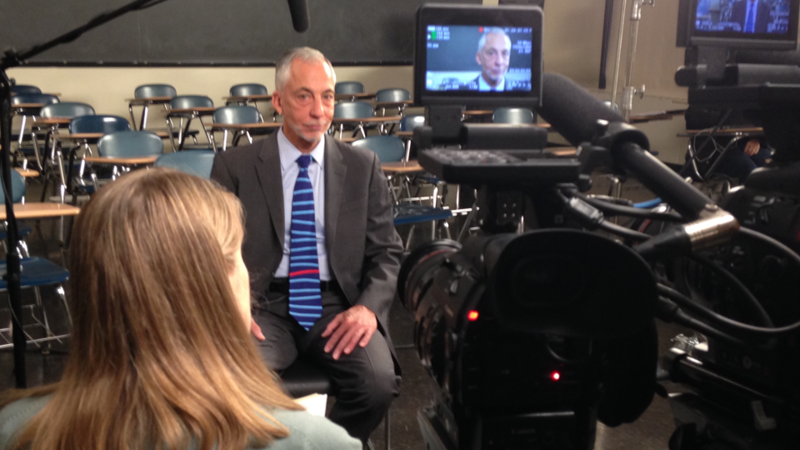 Interviews with experts like Dr. Angelo are a crucial part of ACUE’s state-of-the-art course. Experts’s remarks in ACUE modules provide context and relevant research around the featured techniques to help frame the learning experience for faculty members. Other expert interviews featured on The Q Blog include Stephen Brookfield and Linda Nilson. See our Experts & Faculty page to read about other educators we’ve worked with so far. Interested in learning more about how you can bring ACUE’s Course in Effective Teaching Practices to your campus? Register as an ACUE Community member.